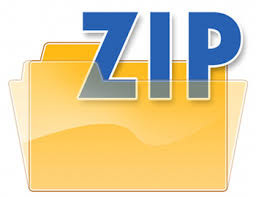 When you want to share a large file with others then ZIPfile is the best way to do it. It is based on data compression concept with .zip and .zipx file extension. It makes easy to download files, email attachment and shared documents. To check its data compression power, I created a ZIP copy of my working folder and compare with the real folder. The original size of the folder was 424 MB while the ZIP file size was 179 MB which is less than half of the original folder size. Now it looks great to share it to anyone.